Have you ever dreamed of seeing the artists and bands you like playing very close to you? Or dreamed of finding a true escape from reality at a festival? All this becomes real at For Noise Festival in Lausanne-Pully. For Noise is a pretty small festival and finds itself far from the bursting and stressful city life. It is set in a small ground among the woods, and it’s probably the best small and quality festival that you can find around here! The big stage is not really big and allows you to look your favourite band right in the eyes, and they’ll see you too! 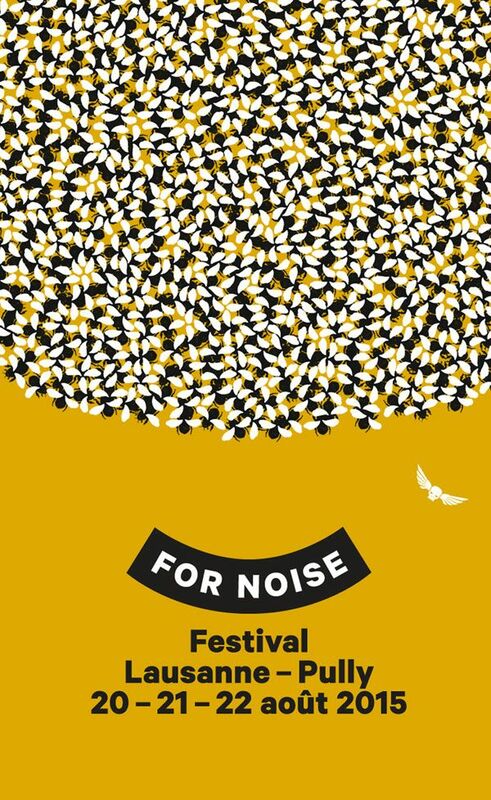 The programme of For Noise is usually well-thought and balanced between more well known act and discoveries ranging from indie, rock, alternative to pop-electro. This year one of the main acts is probably FFS (Franz Ferdinand & Sparks) the new super-group project created by Franz Ferdinand and Sparks. There are lots of artists who are well known by music professionals and such like Owen Pallet and Patrick Watson. Without forgetting the Swiss acts like Labrador City. There will also be Mini Mansions, you may have spotted Alex Turner’s voice in their song “Vertigo”! In other words, be that you know some of the bands playing or none, you can be sure you won’t be disappointed because For Noise allows you to make great new discoveries and see the bands you like up close! So the appointment is next week, from Thursday 20th to Saturday 22nd of August in Lausanne-Pully.